Over 60 runners from Renal Services at University Hospitals Coventry & Warwickshire (UHCW) are set to take part in Big Fun Run at War Memorial Park on Sunday 9th September. The gigantic group are coming together to fundraise for small local charity The Coventry and Warwickshire Kidney Patients Association (CWKPA) to say thank you for the help and support the charity has provided patients since it was established back in 1979. Mina Thakor, Renal Nurse at UHCW explained “We all incredibly appreciate the work that CWKPA does for our patients and we all want to help give something back”. Big Fun Run events are the perfect way for the local community to fundraise for a cause they really care about. “Many of us have worked in Renal Services for 25 years or more and have seen many changes during this time but the CWKPA have always been there to support us”. 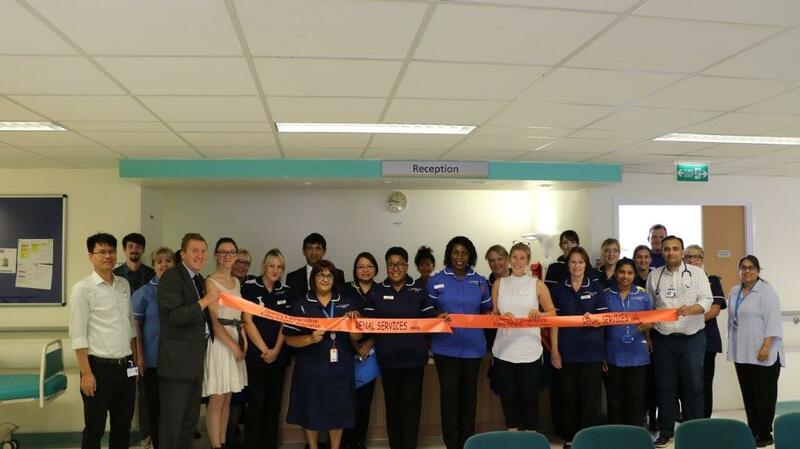 Renal Services has a large renal department encompassing pre-dialysis, dialysis and transplantation departments in addition to satellite dialysis units across Warwickshire. “The CWKPA are invaluable in all areas of support. It can be helping fund booklets to give information to patients to dialysis equipment to helping patients dialyse at home. They cover all aspects in our patients journey and interact with all members of the Renal Team”. As such, Mina did not struggle to sign up recruits for Big Fun Run to support the charity. “We are all from a variety of disciplines; Nurses, Doctors, Dietitian’s, Ward Clerks and Secretary’s. We also have family members taking part in support too”. Big Fun Run attracts people of all shapes, sizes and ages. No event is timed, it is all about participants having fun and raising funds for a charity close to their heart. The Big Fun Run promises a fun, relaxed atmosphere and is the perfect challenge to set yourself in 2018. Entries are still open for the Coventry event on Sunday 9th September, to find out more visit www.bigfunrun.com/coventry/. To read more about CWKPA’s work and support the Renal Services Run, please visit: http://www.justgiving.com/CWKPA.